How to determine the date of production/manufacture or age of Dunkirk® HVAC Systems. The date of production/manufacture or age of Dunkirk® HVAC equipment can be determined from the serial number located on the data plate. 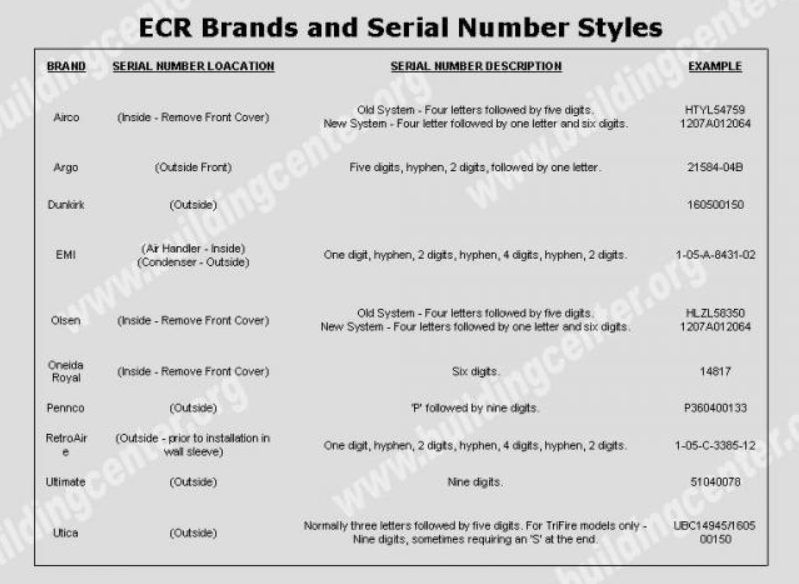 Description: Nine (9) character Serial number begins with nine (9) character numerical digits. Work week of manufacture is 1st-2nd character numerical digits. A quick reference guide published by ECR® that is included here for your convenience.